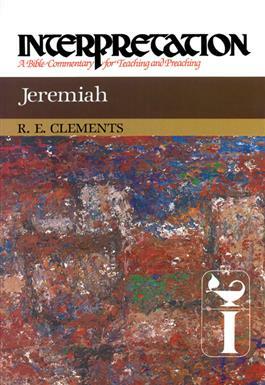 This critical assessment of the book of Jeremiah enables the reader to rediscover many of the most profound and relevant features of Jeremiah's message and of the agonies and fears of those to whom it was first given. The picture that emerges of the prophet is an intensely moving one, often at variance with the conventional image of earlier popular reconstructions. Having witnessed the loss of most of the treasured and revered religious support of his day, Jeremiah discovered that the only secure foundation of hope is in God. Now available in paperback, Interpretation: A Bible Commentary for Teaching and Preaching is a distinctive resource for those who interpret the Bible in the church. Planned and written specifically for teaching and preaching needs, this critically acclaimed biblical commentary series is a major contribution to scholarship and ministry.